WOW! 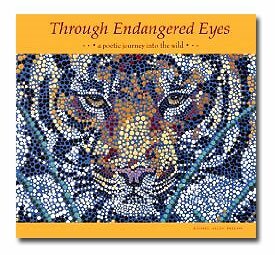 Women On Writing Blog: Rachel Dillon, Author of Through Endangered Eyes: A Poetic Journey Into the Wild, Launches her Blog Tour! Wow Rachel, you are a true inspiration for writers through your dedication, persistence, and endurance! Your commitment to seeing your book through helps me to keep working on my book, knowing that it may take years to see it in print. My background is in rainforest biology (botany), so I am very excited to read your book. Thanks for the great information! Rachel, this is a great idea for a book! I have three granddaughters and, as a poet, I am always looking for good books to add to their libraries. Can't wait to read yours! How did you decide on the Aboriginal Art? It's beautiful! What a Great sounding book! I think both children and adults would love to read. Love the art choice too. I'm a huge advocate for combining medias, in this case art and poetry. Thank you for sharing your experience with us, especially the struggle through rejections. I'm wondering if you would ever consider a book on domestic animals? With all the horrific news of puppy mills and underground dog fights, might this be a topic for another edition? I am a book reviewer (and freelance writer, et al), and have a website/blog/column titled PlanetHabit.com, and am very interested in all things environmental, especially living things. I'm excited about your book and that it will be a series. I've always appreciated the children's poetry of Jack Prelutsky and Shel Silverstein and love that you've written your book in verse accessible to children. Combined with the Aboriginal dot art, how could this book not become a classic? I also admire your tenacity and flexibility, which undoubtedly made publication possible. One thing that especially amazes me about children's environmental writers is this: how do you balance the relating of sometimes disturbing information about the environment while not provoking sadness, panic, or despair in children, and keep the tone child-like with its intrinsic freshness and innocence? Thank you for sharing your story. So many people have no idea of just how difficult this whole process is, nor how dedicated one must be. Congratulations, and continued success. Do you have a favorite illustration? Is it the tiger on the cover? Ladies, I think we should all vote on our favorite illustration from the book--check them out at www.racheldillon.com . I've been bugging Rachel to go to CafePress and offer some t-shirts of her work. I vote for the zebra family illustration. I love that Rachel combined poetry with her creative artwork of animals! It seems that younger kids have a natural affinity for lyrical language, but somewhere along the way, they associate poetry with "difficult to understand"...but I'm convinced that the more poetry kids read, the more they'll come to a lifelong love and enjoyment of it! 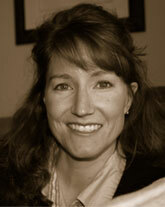 Rachel is a talented author, a compassionate writer, and a wonderful person. It is so nice to see great things happening to great people. Keep on truckin', Rach. Rachel, congrats on your blog tour--I'm having a blast with mine. Looks like a great book! The book looks and sounds very touching. 14 publishers and you kept on submitting. Good for you! What a wonderful book! You certainly are adding a great contribution to children's literature. To all that took the time to comment on my book. Thank you so much for your kind words and interest! contact you for any ideas? Keep on writing! years from that simple place. "Elephants That Weep," I recommend it. DB - You have a great question about teaching a sad and disturbing trend to kids, and how to do that without scaring them. When I read the book to kids, I am quite up front that these animals need help, which is the main purpose of the book. What an awesome idea for a book. As a poet, artist, animal lover, and environmentalist, I can't wait to get my hands on it! wow, I can already tell this book is going to be great- I am a writer of fun poems myself!